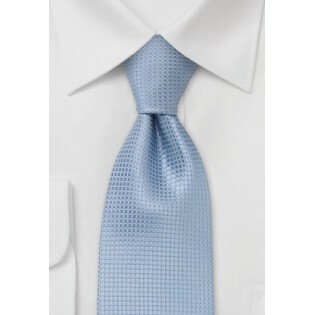 This light blue tie by Parsley Luxury Neckwear is the perfect summer tie for any man. It matches well with most shirt colors and will also look nice on top of striped or check patterned shirts. 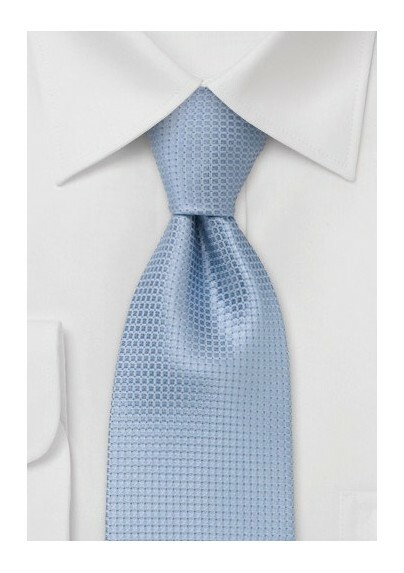 This tie is also available in six other colors. What makes this tie so special is the fabric texture. This tie appears solid and plain from the distance but the close look shows a very fine cross pattern in off-white that is directly woven into the fabric. Handmade from pure silk.